A new report from the University of Minnesota's Energy Transition Lab shows adding energy storage is becoming a cost effective way to meet electricity demand in the state. The report looked at several scenarios, including a common one in the summer: A hot day when electricity demand is much higher than usual because of air conditioning. "What would be more cost effective: to build a conventional plant or to put in a big battery? Or, alternatively, to put in a big battery and a big solar array at the same time? [The consultants] found that putting in solar plus storage was actually cost effective right now," said Ellen Anderson, who directs the Energy Transition Lab. Anderson said about 1,800 megawatts of new natural gas plants are planned for Minnesota by 2028, primarily to meet that peak demand. Natural gas power plants are used for peak demand because they can be ramped up and down quickly. Solar arrays with batteries have the ability to soak in the sun's rays during the day and store the energy for distribution when there's more demand in the evening. Most of Minnesota's current solar arrays are only feeding electricity to the grid during the day. The report shows storage could also be used to better utilize Minnesota's wind energy resources. Right now, if energy supply exceeds demand, wind turbine blades are adjusted so that the turbines don't generate as much electricity. The consultants from Strategen Consulting and Vibrant Clean Energy found the state's reliance on natural gas for electricity would jump dramatically without energy storage as coal plants face retirement. With storage, Minnesota could boost its renewable energy generation, the report says. "What we're seeing is we're right on that precipice where now it's actually today viable to put some in the ground," said Chris Clack with Vibrant Clean Energy. Clack said he expects that as more storage is added to the grid, the benefits will become obvious and drive even more implementation. The cost of storage has come down dramatically. The technology itself is getting cheaper, plus there's a federal production tax credit can be applied to facilities. 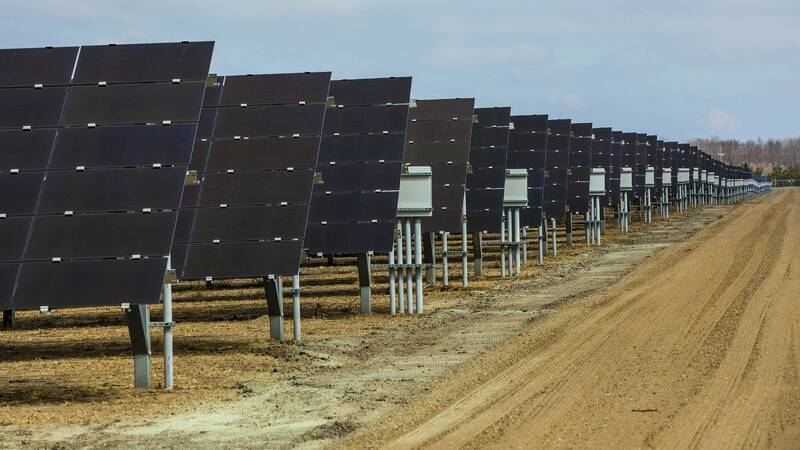 In addition, Minnesota has adopted policies that require utilities to look at the environmental impacts of new energy facilities, and in some cases solar energy projects are assigned a higher value than electricity produced from fossil fuels. All these factors help the math work out in favor of storage, said Ed Burgess of Strategen. "It's really an opportune time to re-look at storage and how it would fit into a place like Minnesota," he said. Minnesota has very little energy storage today, but Connexus, a distribution cooperative located in Ramsey, is planning a 20 megawatt energy storage system. Bids for that project have come in lower than expected, Anderson said. The Energy Transition Lab report was presented to the Minnesota Public Utilities Commission on Tuesday. A group of stakeholders evaluated the report and recommended the state pursue some energy storage pilot projects.